Drift Casino is an online casino with mobile games, established in 2016 using games powered by multiple software providers. It is operated by Pomadorro N.V. and is licensed under the jurisdiction of Curacao. The website can be accessed in several languages. Drift Casino is the future of online gambling. 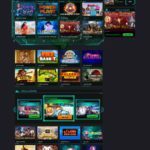 With the dark neon theme, this beautiful platform comes with tons of video slots powered by renowned software providers, NetEnt and Microgaming and more. To better their service, the casino can be viewed in not only English, but Russian, Spanish, Finnish, and German. Licensed as well as regulated by the famous Curacao eGaming, Drift Casino is open to all players on mobile platforms without any entry or additional charges. Although the aspiring casino intends to provide their services to every corner of the world, it is, however, restricted by certain laws which make it illegal to offer the games in certain countries. Some of these countries are Iraq, Italy, Denmark, Hong Kong, Spain, Belgium, Ecuador, France, the United Kingdom, and the United States of America along with many others. In order to know more about restricted territories, players should refer to their ‘Casino Details’ section. August Supreme promotion – €7,500 and a whopping 15,000 FS! As said before, the casino features a huge variety of NetEnt and Microgaming slots. Players have a huge portfolio to scroll through and can play some of the all-time favorites like Dead or Alive slot, Game of Thrones slot, Starburst, Immortal Romance slot, and Avalon II slot, along with many new and old video slots by the providers. The casino, other than video slots, does not lack in variety of roulette, blackjack, baccarat, and craps all provided by either of the providers. It also comes with a pack of video poker that players can enjoy with different themes. Some of these video pokers are All American, Deuces Wild, Aces and Eights, Jacks or Better, All Aces Poker, and a huge selection of such games to enjoy. For players who want to try new things and widen their experience in online gambling, they can give a shot to scratch cards, point-and-click games and bingo which are a different experience than regular online slots, video poker and table games provided on the site and offer some new flavors for players. Even though the casino has many games under different types, it still lacks live casino gaming at the moment. However, players can expect live gaming among new improvements in the near future. Being such a huge gaming platform, it is not a surprise that Drift Casino is available on mobile devices since many of their players play games on the go. As these games are made by NetEnt and Microgaming, players can rest well knowing that these games will be equal or better in quality than their desktop version. The best thing about their mobile gaming is there is no entry fee for players to pay for playing any games and winning some jackpots. Players who wish to inquire about any matter regarding the gaming policy or problems can contact the Casino’s support team in various ways: through email, live chat, or telephone, which are the quickest an efficient option to get your questions answered. All of these supports are open 24/7. Players can refer to Security and Fairness on the website to contact the support team or view FAQs. To ensure maximum protection for their customers’ private information from third parties or frauds, the website uses the latest SSL encryption technology. Players can be assured that any game they play on this website is fair with the unbiased result since these games are provided by NetEnt and Microgaming which are regularly audited by the gambling authority.